Captain Glen and crew: sending photo from trip to Whitehouse, Jamaica. Steven's wedding went great as planned. We dove for 5 days and saw many wonderful sights. 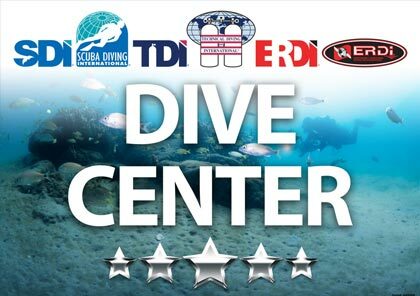 Diving with other divers from all over the world. We quickly saw that the skills we had learned at The Scuba School gave us everything we needed to operate in a safe and confident manner (have patch will dive). We are already planning our next dive. Thanks for everything. Took the open water diving class in June of 2016 and had a BLAST. Mr. Glen is the best dive master around and is always looking for ways to help his students. I would definitely recommend The Scuba School to anyone and everyone who is wanting to get certified. I just wanted to send you an email to thank you for yesterday. I had a fantastic time and thought everyone was helpful, encouraging, and very knowledgeable. I was challenged and, at the same time, I had a lot of fun. Thanks to the crew at the Scuba School, our experience was a great one. They helped us work through every challenge exceeding our individual needs. (Taking the class as a couple) I would recommend to anyone, in fact I did and now my son and daughter are certified as well. Thanks Scuba School! Glen, just wanted to take a second and say thank you for a great time this past weekend. Jacob and I truly enjoyed it. Thank you also for the patience that you have with hard headed students such as myself. Your attitude and spirit really helped me learn the material. Capn's note: There are no hard headed Students! Not everyone learns the same way or at the same pace. Everyone is an individual at Scubaritaville! OMG the underwater world is Amazing! Thank You so much for teaching me! I want you to know that I appreciate the safety precautions that you take with each and every student! Not once on any dive did I ever feel unsafe. The extras that you put into your classes made my experience wonderful! The oranges and the water was just what I needed! Because of this experience I am ready to send my children one at a time to you, I have to share the underwater world with them! Cap'n Glen and crew (Krista, Cody and Lynn), it was a very enjoyable weekend. I felt like I was on vacation and was reinvigorated on Monday morning! I felt safe and secure the whole day knowing that y'all were giving us the best instruction and were watching out for our safety. Y'all, especially Glen, made the outing fun and put me at ease in the water and in the equipment. The BBQ lunch was perfect, thanks for sharing your home with us. At the end of the day I felt I very confident about scuba diving. The first time I did my open dive, I panicked. But Glen's love for scuba and his one on one instruction helped me to overcome my claustrophobia. Now, I get to enjoy all of God's creation. It's beautiful underwater, and I have Glen to thank for making it possible. Glen, how could I even start to explain the wonderful experience. Glen is a very outgoing instructor. He does everything possible to make your experience as comfortable and fun as one possibly can. I had never even snorkeled before this. He took his time made sure I knew how the equipment worked and understood how everything operates. From the pool to the ocean it was an amazing time and never a dull moment. While diving at Vortex Springs in Florida I got the opportunity to see underwater structures, all kinds of fresh water fish. I can’t wait to continue advanced training with Glen and the Crew! Thanks for an incredible weekend. I had an absolute blast and the the helicopter wreck dive is one that I will not forget! The class was very comprehensive as well, and I now feel very comfortable as an advanced open water diver moving forward. Excited about future trips with you and your crew!